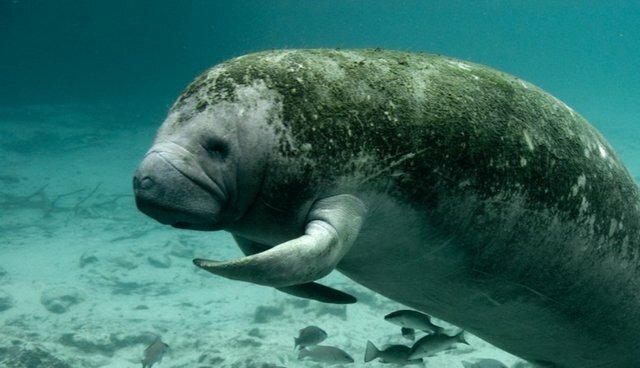 The West Indian manatee suffered its worst year on record, with 829 dead. There are fewer than 5,000 of the critically endangered species left in the wild, which means more than one in six Florida manatees died last year. The Florida manatee is enormous and has very tough skin like its surprisingly close relative, the elephant, so it has no natural predators. But it reproduces slowly, relies on a healthy supply of sea grass on which to graze, and its natural habitat is off both coasts of South Florida, amid thousands of boats and ships. The manatee's biggest problem, however, is that climate change has created unpredictable spikes and valleys in water temperature. Cold water can easily shock a manatee into cardiac arrest. Additionally, pollution and chemical runoff can cause what's called a harmful algal bloom. Poisonous algae (sometimes reddish in color) grows incredibly quickly, poisoning the plants the manatee eats -- a record-high 276 deaths occurred last year, just from ingestion. Protecting the manatees is difficult, but not impossible; as The Guardian's Karen Hoffmann notes, there are some bills working their way through Florida's state legislature that could stem the flow of pollutants into manatee habitat. The Save the Manatee Club is a long-running conservation group that works in research, protection and education of the Florida manatee.